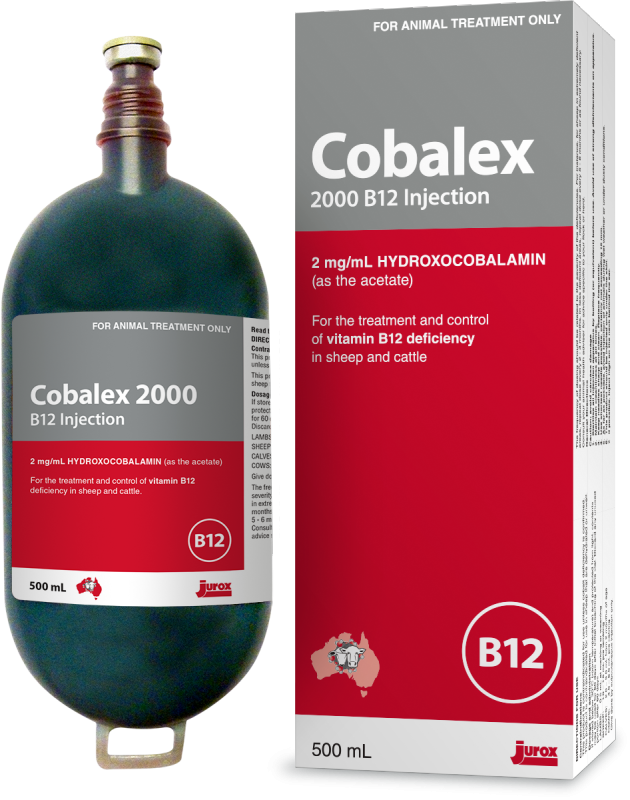 Cobalex 2000 injection provides vitamin B12 for treatment and control of deficiency. It provides a readily absorbed source of vitamin B12 levels in sheep and cattle. When given subcutaneously, the product is well-tolerated and non-irritant. The increased protein binding of hydroxocobalamin sustains circulating vitamin B12 levels for longer than cyanocobalamin. For the treatment and control of Vitamin B12 deficiency in sheep and cattle. Give by subcutaneous injection only. The frequency of dosing should be related to the severity of deficiency. Consult an animal health advisor for advice specific for your flock or herd.